Only half the title written above is legit. The other half...well, there's no reason for it...it just rhymed. Which takes me off topic from the original direction of this post which is to introduce or reintroduce a couple of picture books. I'll get to that. I promise. But I stray because I read a lot of manuscripts each year by writers of all experience levels. Some are great. Some are not. Just like my own work. But I will tell you, many of the less experienced writers seem to have this idea that a picture book has to rhyme or even that it should rhyme. Well it doesn't and it shouldn't...unless there's a reason. I'll say it again, and you can quote me on it, "Steer clear of writing your picture book in rhyme, unless there's a good reason." What are the reasons you'd write in rhyme? Well, here are a few. And if yours isn't on this list, you'd better have a darn good one I didn't think of or get rewriting. Your book's plot is about a song, or rhythm or music, or singing. For example, Kristyn Crow's "Skeleton Cat" or "Middle Child Blues" or "Bedtime at the Swamp." Check those books out. They have great rhythm and rhyme, with a reason for it. You are a trained poet. You've actually studied poetry, rhythm, and rhyme, and know what it really is and how to effectively use it. Like, taken classes on it, kind of studied. Why you ask? Because writing in rhyme and doing it well is REALLY REALLY REALLY REALLY HARD. Why make your job harder than it needs to be? Now, on to the real reason for the post! YAY! 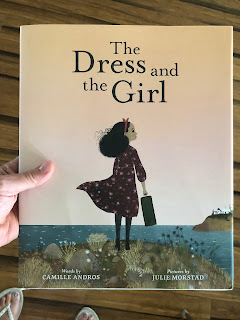 My dear friend, Camille Andros, is a very talented writer who knows how to get to the heart of the matter. I loved her first book, "Charlotte the Scientist Gets Squished" because it's cute, funny, spunky, clever, and tugs at the heart just enough in the end. But I love her newest book for totally different reasons. It's sophisticated, quiet, beautiful, and migratory. And still, like her first, it also tugs at the heart. Julie Morstad's illustrations add a deeper sense of timelessness and nostalgia to the story and I must admit I'm envious of the smooth wash in her peachy skies and the beautiful flora on the hillsides. Simple and elegant, the illustrations leave plenty of space for the words to work their magic as well. 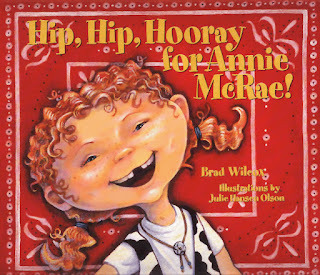 I just got the news that the very first book I illustrated, "Hip Hip Hooray for Annie McRae!" which was published 17 years ago in 2001, is being reissued! It will have a new cover (I don't have the reveal for that quite yet) but all the same interior illustrations and is supposed to come out in the spring of 2019 as part of an anniversary book list for the publisher. Some of you might remember this book. 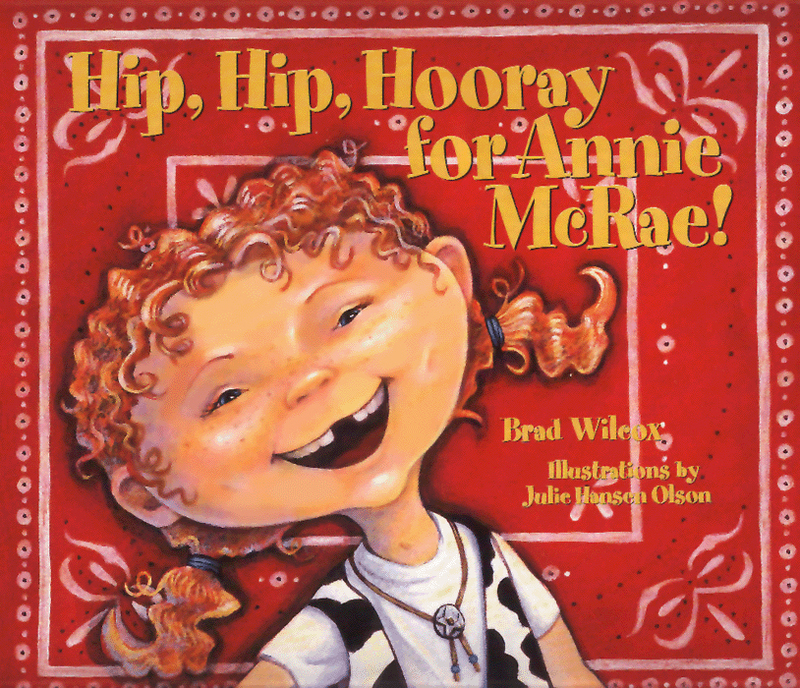 My own nephew married a girl who excitedly told me when we met that she LOVED "Hip Hip Hooray for Annie McRae!" when she was a little girl (yes that made me feel old). I have actually met teachers at elementary school visits who also loved the book and its message of positive self talk, but they were sad it had gone out of print. But now, I am so happy it will be out in the world again and a brand new generation will get to enjoy it. I guess it IS available...somewhat...the current $87 price tag for a first edition on Amazon is a little steep for most readers. It is for me! But never fear. The new edition will be MUCH cheaper, I'm sure. So watch here and on my instagram for news of the new cover and for the re-release date! I am always interested to learn about other artists' processes and tools. 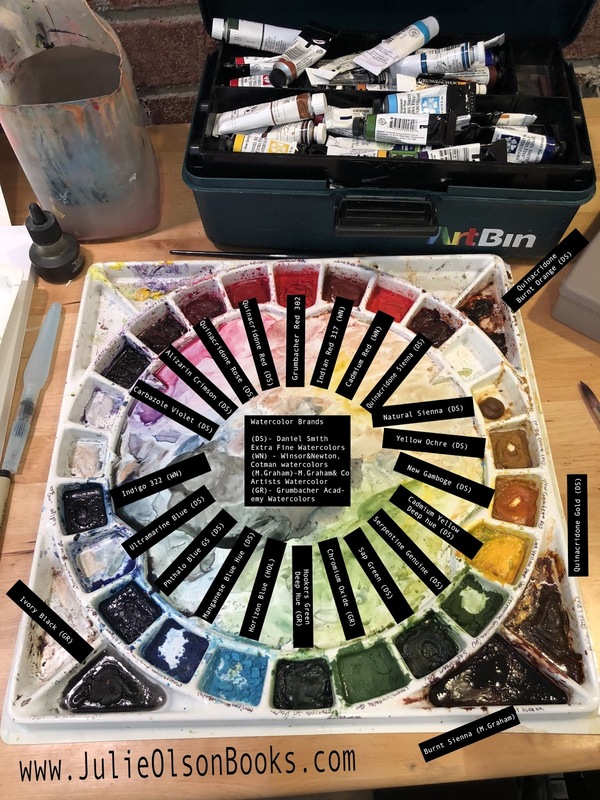 Someone asked me today what watercolor paints I use. There isn't a single answer so I decided to do a blog post on it to give more information. Read on til the end, and I'll post some links to some other helpful posts on the process of becoming an illustrator and how to illustrate and more. Second, the paints on my palette. I've used various paints over the years, but after taking a watercolor master class from landscape watercolor artist, Carl Purcell, I realized I needed to add a few things...like the name of the colors in sharpie along the edge of each paint well and a few colors I didn't even know existed, like Horizon Blue. The result is the following palette. (I choose to keep my palette messy and leave the dried paint in the wells...I just mist it all down before I start). You are welcome to click on the image and look at the labeling more closely to find out what specific colors and brands of paint I use. Now, Third...Links extra resources and how to's on my blog. 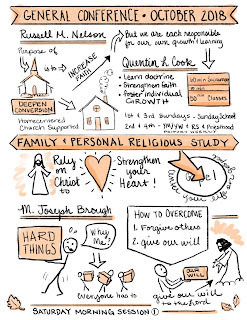 I have compiled my notes from General Conference Spring 2018 into one downloadable PDF. These are my personal notes I take for my own use while I am listening to the speakers. I have to write fast, draw fast and design fast. There are probably mistakes. Sorry about that. Another listener may have heard other things I have not noted. That's inevitable. So take all that into account. I was able to correct the initial misspellings of some names that you will see on the images I posted to Instagram. But I did not go through and add or correct anything else. I hope you enjoy them and find them useful. I am happy to share my notes with all of you free of charge. All I ask is that you do not reproduce them, sell them, or use them for anything other than personal study or teaching. I'd also love more followers on Instagram or Facebook. If you follow me there, you'll get first peak at all my conference notes PLUS you'll get insight on my world of writing and illustrating for children. You can find me on Instagram HERE or my public profile on Facebook HERE. I'm sharing the love today. I made new valentines for you to use for 2018. 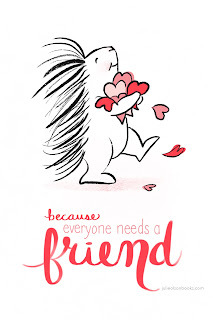 But all the other valentines I've made over the years are still available for you to print as well. So you have a wide choice. Just click the PRINTABLES tab at the top of my blog menu and scroll down til you see the one you want to print. Remember, these are for personal use only. They are not to be resold, repurposed, or revised in any way. Thanks so much! AND ENJOY! 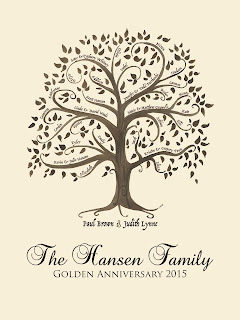 Custom Family Trees on Sale! Maybe you didn't know this, but family is very important to me. It most like is important to you and to all you love as well. 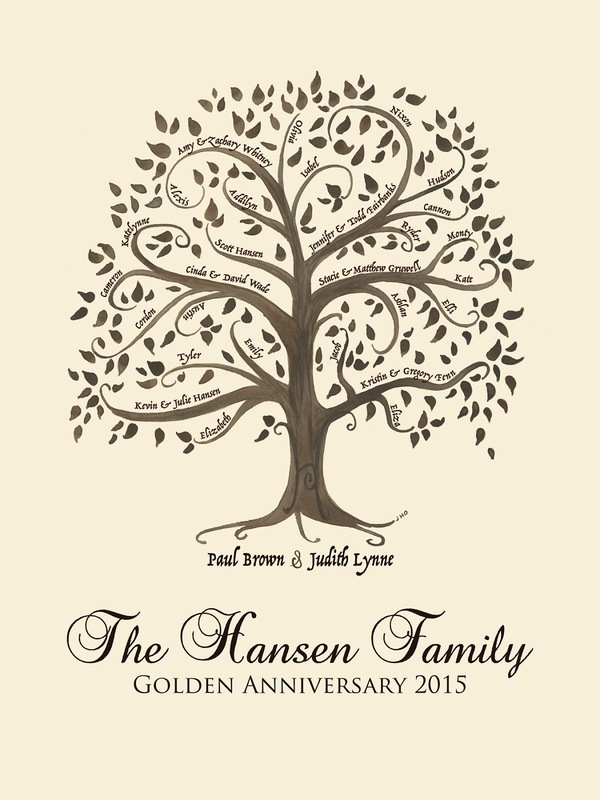 So as a Christmas special, I am offering my custom family trees at a 20% off discount. 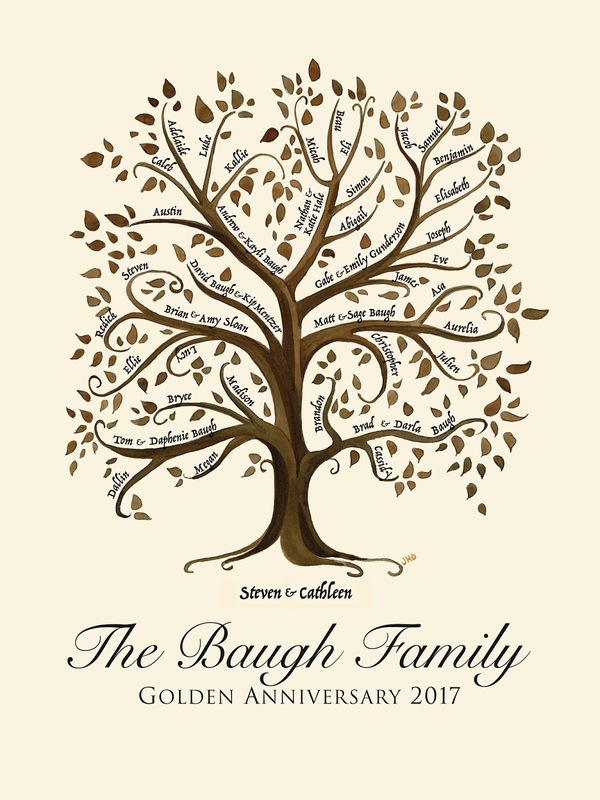 These 18x24 inch wall hangings have a hand painted tree specific to your family with a custom amount of main and sub branches designed to fit your names in a beautiful arrangement. 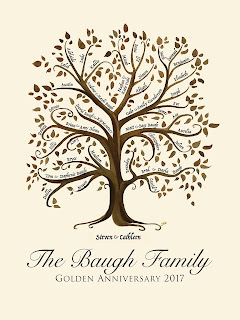 Then the tree is professionally scanned in and I hand place each name in a calligraphic font on the computer. The final art is professionally printed with a canvas texture and protective spray and mounted on a piece of masonite ready for hanging with or without glass in your frame. They normally sell for $250 each (the printing and mounting included) and are great family gifts for parents or grandparents. I often have a group of adult children all chip in with each other to purchase this one-of-a-kind piece of art for their parents. But from now until December 17, 2017 you can get one for just $200. Here are a couple examples of trees I have recently completed.